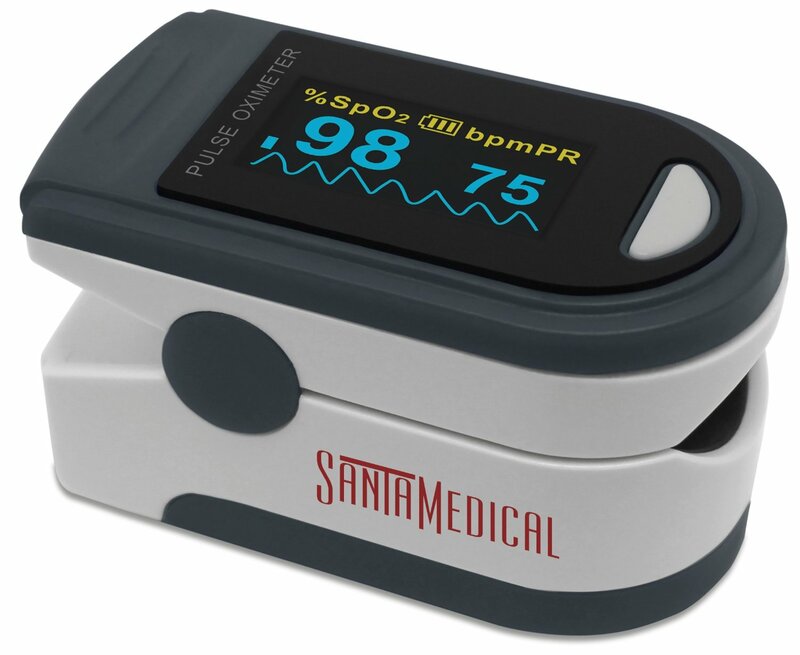 I just got this great pulse oximeter from SantaMedical. I have had some problems with my health and I am always worried about my my blood pressure. Since I was put on high blood pressure medication I am always trying to find ways to monitor at home easily. This thing is super easy. It measures your pulse and oxygen levels. It’s really accurate and is the same quality you see at the hospital. I love that I can easily put it on my finer and I know what my pulse and oxygen level is. I don’t have asthma but this would be a must I think if you do. It also displays your heart rate rhythm on the bottom of the screen which is really cool. It only takes seconds to read. It’s a great little tool to have around the house especially if you have a condition that you need to monitor. Super easy anyone can do it! FDA Approved. Measures quickly and accurately pulse rate and SpO2 blood oxygen saturation of arterial hemoglobin levels. Bright Color OLED display shows real time Pulse Rate Plesthymograph wave of strength of pulse, Pulse Rate and bar graph, SpO2 level and Battery level. Rotatable multidirectional display, allows you to view your results in any direction plus Plesthymograph wave options. Light and compact, accommodates wide range of finger sizes, long battery life, automatic power off after 8 seconds. Not a medical device. I received one or more of the products mentioned above for free using Tomoson.com, other review site or group, or from the company directly. Regardless, I only recommend products or services I use personally and believe will be good for my readers.